DIY shop on Selsdon Road in South Croydon. 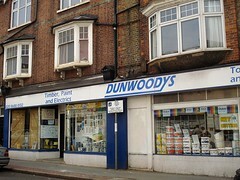 As of August 2012 the frontage advertises timber, paint, electrics, and keycutting. Last edited 2019-03-29 13:08:02 (version 19; diff). List all versions. Page last edited 2019-03-29 13:08:02 (version 19).